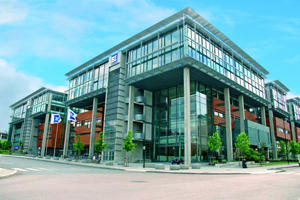 The BI Norwegian Business School was founded in 1943 with six campuses. It is the largest business school in Norway and the second largest in Europe. Meanwhile, the BI Norwegian Business School is also one of the first Norwegian business schools to have acquired EQUIS accreditation. The accreditation’s influence and importance are indisputable in the field of global management education. The School is also expected to acquire AACSB accreditation in 2013. In addition to international accreditations, the BI Norwegian Business School was ranked 70th in The Financial Times rankings of all European business schools, accentuating its high levels of achievement. Regarding the trend of global business education, the BI Norwegian Business School is dedicated to promoting internationalization. Currently, the School cooperates with 45 partner schools in 170 countries including CNCCU. In the future CNCCU plans to send four exchange students (two undergraduate and two graduate students) to the BI Norwegian Business School each academic year through its established exchange programs.